1 FSSAI License Number: What is it? 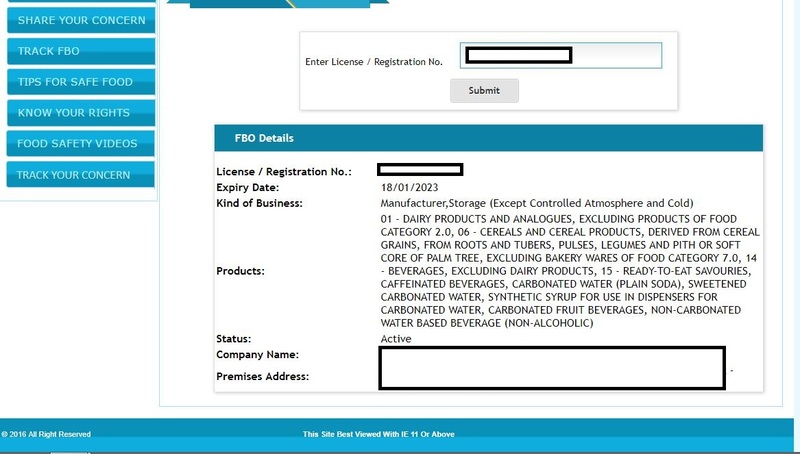 2 What will the FSSAI license number search will display? 3 What are the important things to keep in mind before you check FSSAI license number? In India, the Food Safety and Standards Authority of India, (FSSAI) regulates and looks after the safety of food products being made available to the public. FSSAI also ensures that Food Business Operators (FBOs) are using good food manufacturing and healthy food handling and storage practices within their premises. These practices have been specified in accordance with the Food Safety and Standards Act of 2006. In addition to ensuring the safe practices, the FSSAI also issues a Food License to the FBOs certifying the safety of the food products for consumption by customers. Every food license has a 14-digit registration/license number which has to be affixed on the packaging of the food product along with the FSSAI logo. In this article, we’re going to look at how you can check FSSAI license number online. FSSAI License Number: What is it? 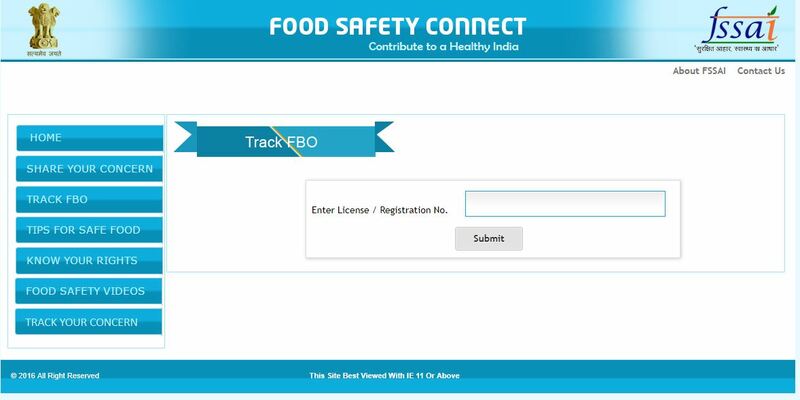 FSSAI license number or food license number, as we previously discussed is basically a 14-digit license number which is issued to all food business operators regardless of their size and scale of operation. There are, however, different kinds of registrations for the food license based on the scale of operation. The 14-digits of the FSSAI license number have been basically divided into 5 sections and each section tells the authorities some information about the food business operator which distinguishes it from the others. Here are the 5 different sections of the FSSAI License number. Section 1 [First Digit] – Information about the registration status of the food business whether registered or not. Section 3 [ Digits 4 and 5]- IYear of manufacture of the particular food product. Different food businesses are eligible for different types of licenses based on the scale of their operation i.e. Annual Turnover. Let’s look at the various types of Food licenses and their eligibility. What will the FSSAI license number search will display? What are the important things to keep in mind before you check FSSAI license number? The 14-digit license number of the FBO that they acquire from the regulatory authority of FSSAI, has to be on the packaged products. The font color and shade of the FSSAI logo should be contrasting enough to the background of the packaged product so that the logo and license number are clearly distinguishable. The name and address along with the FSSAI number need to be produced in front of the authorities at the time of importing a product into the country. Displaying the FSSAI logo as well the license number on the food products reflects that the food business administrator has a legitimate license in compliance with the Food Safety and Standards Act of 2006. FBO should only put the logo and license number on their products till the validity of their food license lasts and that is a maximum of 5 years. Step 2: Enter the particular license number and click on ‘Submit’. Make sure you have entered the license number correctly, there should be 14 digits in the license number. Step 3: IF you have entered an invalid license number, an error message is displayed as follows. Step 4: Once you’ve clicked ‘Submit’ and if your license number is valid, the website will display the status along with other details of the food business operator. You have successfully performed the procedure to check FSSAI license number. This concludes the procedure to check FSSAI license number online. FSSAI license is basically mandatory compliance for a food business operator (FBOs). The Food license has the validity of a maximum of 5 years and after those 5 years are up, you need to renew food license in order to keep smooth operations and business flowing. If you have to acquire a new FSSAI registration or renew your existing license. Contact us at FSSAI Food License, one of the top food consultants across the country. Call +91-875-000-8844 to get started !